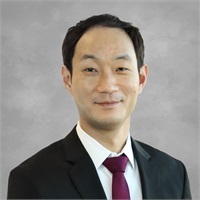 James Kim has worked in the financial services industry for the last 18 years. James was proud to join SFG, Inc. in July 2018 as a Financial Advisor. During his time in the financial services industry, he has specialized in planning and delivery of investment and risk management solutions. James is a lifelong native of the Chicagoland area. In his free time, he enjoys movies and sports, particularly the Chicago White Sox. James graduated from the University of Illinois at Chicago earning a bachelor’s degree in Business Management. He also attends New Community Covenant Church in the Bronzeville neighborhood. Securities offered through The O.N. Equity Sales Company, Member FINRA/SIPC, One Financial Way, Cincinnati, Ohio 45242 (513) 794-6794. *Investment advisory services offered through O.N. Investment Management Company. The O.N. Equity Sales Company and O.N. Investment Management Company are not affiliated with Strategic Financial Group, Inc.